Background: Hickenlooper graduated from Wesleyan University in the 1980s with a master’s degree in geology and a bachelor’s degree in English. He worked as a geologist and then later opened up restaurants across the country, such as the Wynkoop Brewing Co. in downtown Denver, CO. 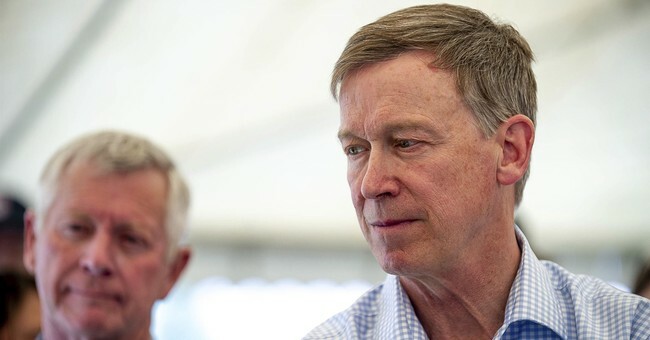 The National Governors Association mentioned that Hickenlooper’s business, “helped spark the revitalization of the city’s now-thriving Lower Downtown district.” Hickenlooper later served as the Mayor of Denver from 2003 to 2011 and then served two terms as governor of the state from 2011 to 2019. Immigration: Hickenlooper signed an executive order in 2018 preventing Colorado resources from being used to separate illegal immigrant children from their families. Environment: Hickenlooper said he didn’t read the entire Green New Deal bill, but added, "I'm going to guess that 99 percent of what's in the Green New Deal I will be happy to embrace." While the former governor worked to increase regulations on methane gas production in Colorado, he also opposed ballot issues made to increase the minimum distance oil companies can drill from schools, parks and residences. Economy: Hickenlooper had state agencies look over and streamline unnecessary regulations in 2011, cutting 2.3 million hours of work per year and saving $8 million. He also established an apprentice program for high-school students called CareerWise and worked with Microsoft to create Skillful, a website designed to help displaced workers get new jobs. Criminal Justice: Hickenlooper is back-and-forth on his opinions about the death penalty. He changed his mind about the issue after 2013, when he originally thought that, from a biblical perspective, the death penalty provided an, “eye for an eye,” for convicted murderers. Regardless of his shift in opinion, the former governor never signed or supported a bill that would have repealed the practice. Gun Control: Hickenlooper signed three bills into law regulating gun purchase and ownership in his state. The regulations included universal background checks for online and private gun purchases, as well as a ban on magazines that carry more than 15 rounds of ammunition. The bills passed the legislative branch without a single Republican vote. Abortion: Hickenlooper supports abortion and Planned Parenthood, but The Denver Post points out that he prefers highlighting his efforts to prevent teen pregnancies, such as when the state made an initiative to provide 30,000 contraceptives in 2014 that were low-cost or free of charge.